Not to be morbid on a Monday, but every moment you’re living…you’re dying. The face of the matter is that with every breath we take, we’re that much closer to the last breath we’ll take. 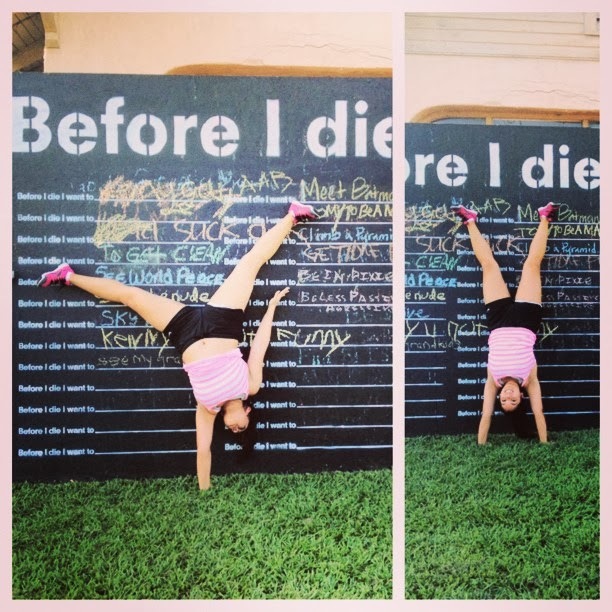 Toward the end of last week, I was introduced to a social experiment led by Nicole Kenney where she asks people one simple question: “what do you want to do before you die?” and photo documents their answers. Y’all might remember the above picture from a few months back. In our neighborhood, just down from RSCF, this board went up and stayed up for a good 6 months. Someone came and washed it away every week and every week people came and listed what they wanted to do before they die. My friend Katie took this picture for me but I didn’t think too much about the board itself. I realized that a year ago, this list would have been really different, but through this crazy journey, I’ve found a lot of things that I want to do. -Dance with my daddy at my wedding. -Finish my daddy’s dream ranch house with a tin roof and a loft. -Make tamales with my mama for Christmas. -Take care of my niece and nephew for their college educations. -Go to the very top of the Empire State Building. -Own a house with a claw foot tub. -Volunteer at an animal hospital. -Take care of my parents. -Throw a dinner party for my Uncle Sonny. -Cook Thanksgiving dinner…while Mama Nancy watches football. -Throw April and Whitney a housewarming party. -Live with my sister for a year…so I can take care of the house and the kids and she and Keith can go do everything. -Learn to play the guitar. -Walk on the stage at the Grand Ole Opry. -Buy (and learn to ride!) a moped. -Make my mama and daddy proud. -Live up to my Grandma Nancy’s legacy: alegre. -Watch Kristie act on a national stage. -Marry a guy that I’m lucky to have and that I’m proud to have a son just like. -Teach my kids to work hard. -Rescue and renovate an old house. -Walk through the soles of a good pair of cowboy boots. -Read every word in every book I can get my hands on. In case you haven’t yet, today’s the day to start living!